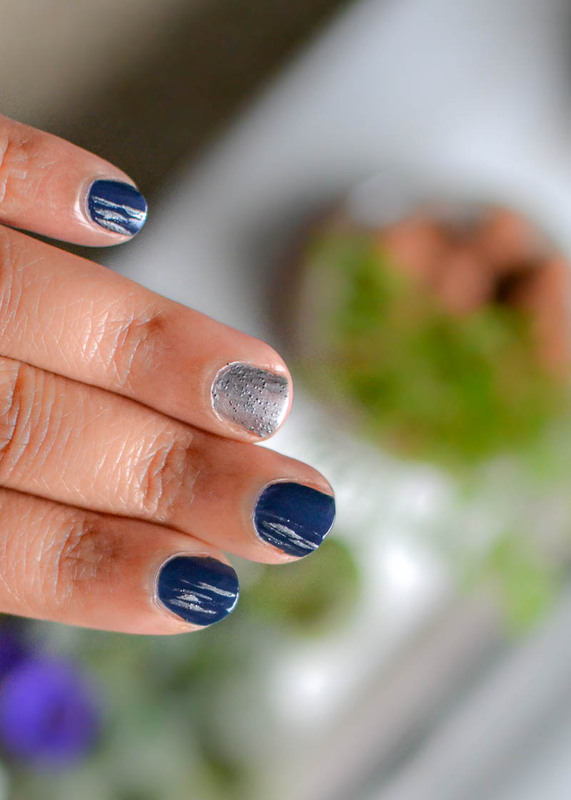 Apply Sally Hansen Miracle Nail Polish in Midnight Mod (blue) over all the nails except the ring finger where I have used Rock On (silvery grey). Wait a bit for the polish to dry. 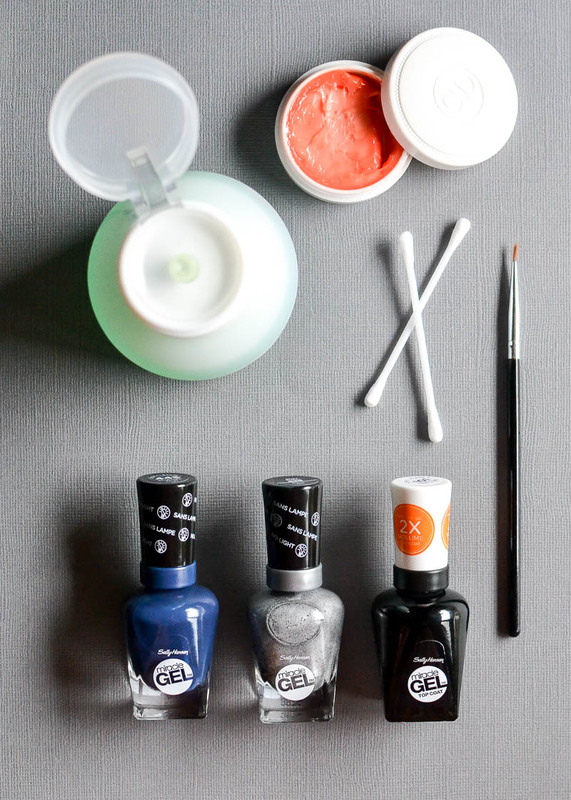 Use a fine-tipped synthetic brush to draw some streaks of grey along one-third of the nail. 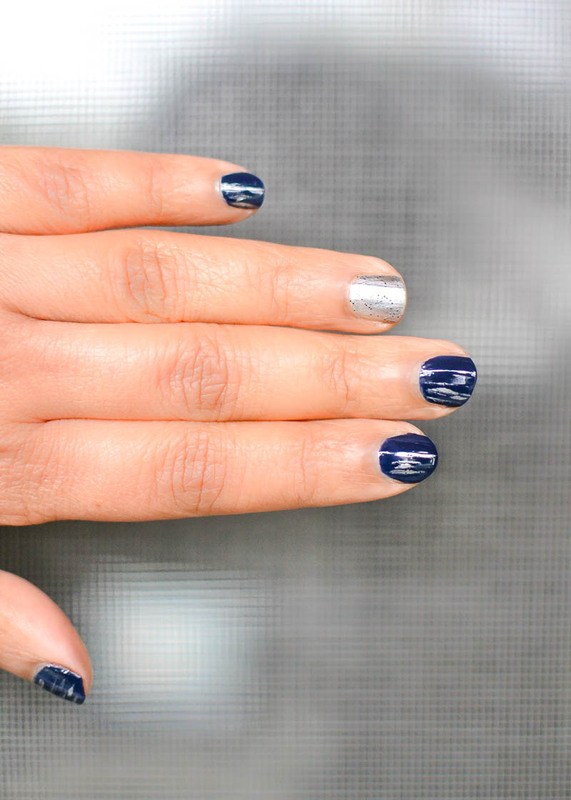 I have short nails, so long stripes like these work better on my nails. Finish with a top coat to seal the color and add an even, glossy finish. I used the Sally Hansen Miracle Gel Top Coat. 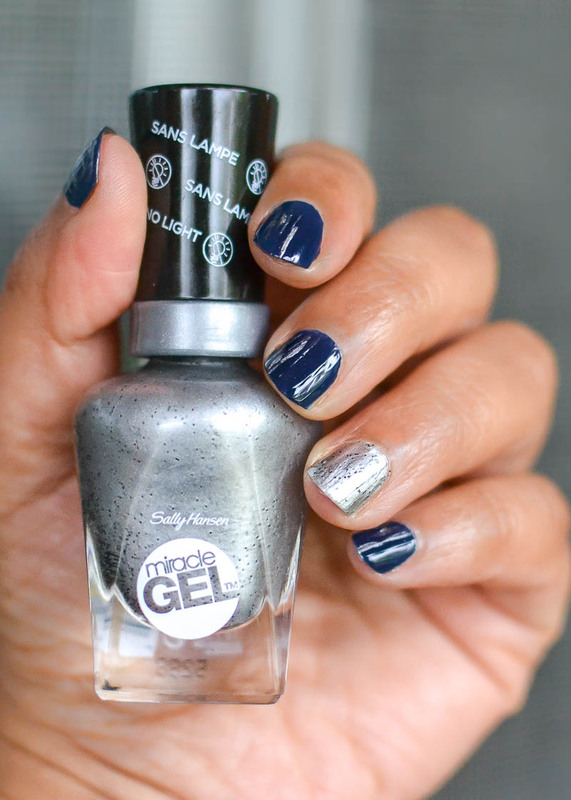 Sally Hansen Miracle Gel Polish in Midnight Mod is a lovely deepblue that pairs well with the slivery grey Rock On. 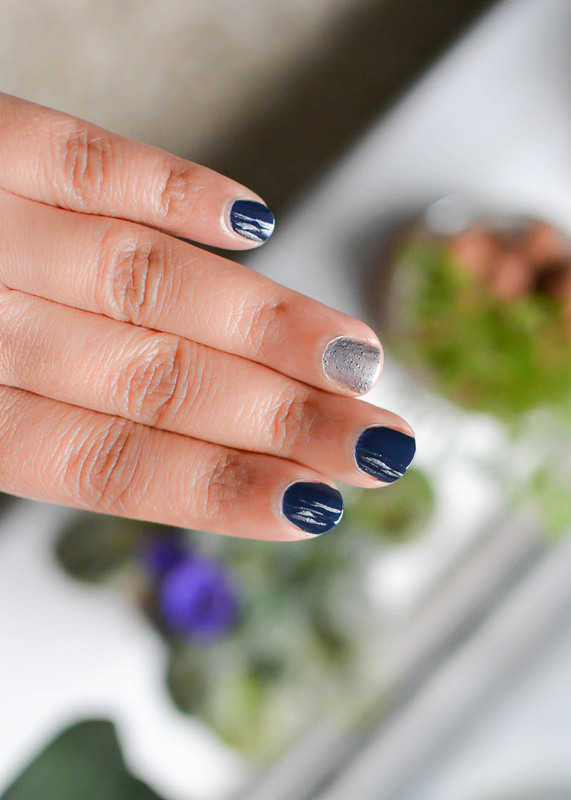 These two would work well on their own too, without any added garnishes on the nails, but I think adding the little streaks on the nails makes it a little less boring without being too loud or complicated. 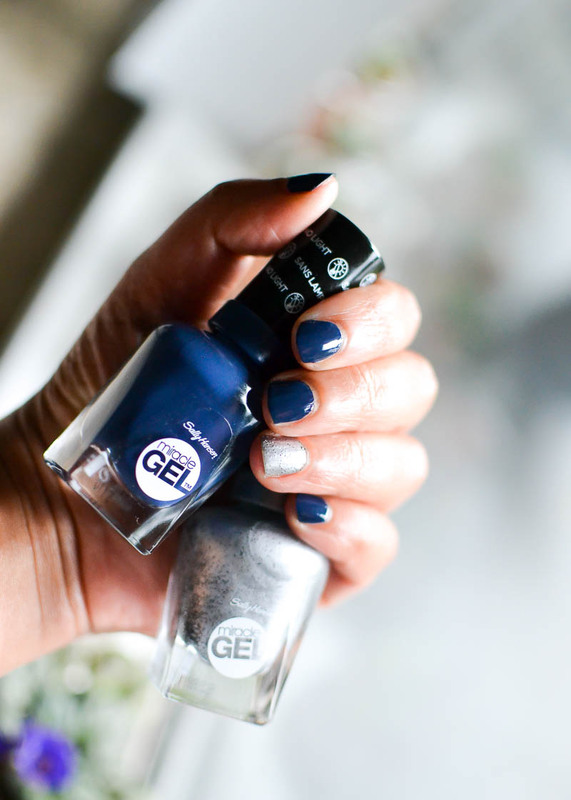 *Sally Hansen Miracle Gel Nail Polishes in Rock On & Midnight Mod as well as the Miracle Gel Top Coat were provided for review.